Executive Chairman of the Company’s Board of Directors. The Company’s Chief Executive Officer and has been a member of the Company’s Board of Directors since December 2011. 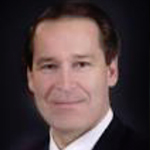 Dr. Blanchard has been a member of the Company’s Board of Directors since May 2013. In July 2014, Dr. Blanchard was appointed as Chief Executive Officer of Microchips Biotech, a Boston area drug delivery company based on implantable microresevoir technology developed in the MIT laboratory of Dr. Robert Langer. 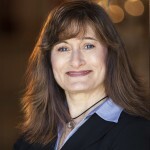 Prior thereto since 2009, she served as Senior Vice President & Chief Scientific Officer of Zimmer, Inc., a large orthopedic implants company based in Warsaw, IN. From 2005 to 2009, Dr. Blanchard served as Sr. VP Research and Development & CSO of Zimmer, and before then since 2000 she held increasingly responsible research and operational posts at Zimmer. From 1986 to 2000, Dr. Blanchard served in several research and senior management roles at Southwest Research Institute in San Antonio, a large contract R&D organization. She has a Ph.D. and M.S. in Materials Science & Engineering from the University of Texas at Austin, and a B.S. in Ceramic Engineering from Alfred University in New York. Dr. Cima has been a Company Board member since June 2016. He is a Professor of Materials Science and the David H. Koch Professor of Engineering at the Massachusetts Institute of Technology. Dr. Cima is a widely-recognized innovator of medical products and materials engineering technologies. He also has extensive entrepreneurial experience, having co-founded a number of drug delivery and diagnostics companies including Microchips Biotech; T-2 Biosystems, a medical diagnostics company; and Taris Biomedical, company focused on developing new treatments for bladder disease. He earned a B. S. in Chemistry in 1982 (Phi Beta Kappa) and a Ph.D. in Chemical Engineering in 1986, both from the University of California at Berkeley. 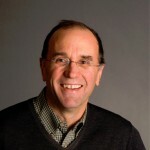 Professor Cima joined the MIT faculty in 1986 as an Assistant Professor and was promoted to full Professor in 1995. He was elected a fellow of the American Ceramics Society in 1997 and was elected to the National Academy of Engineering in 2011.